If desired, lightly salt chicken tenders. 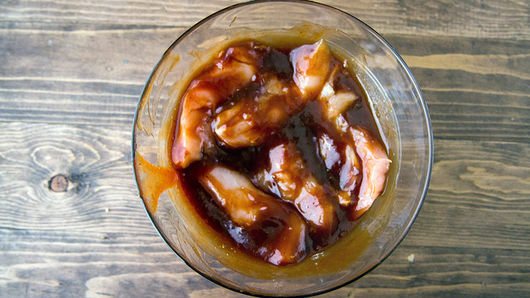 In medium bowl, stir together barbecue sauce and water. Place chicken in mixture; turn to coat. In shallow bowl or pie plate, place crushed pretzels, pepper and olive oil; stir with fork to combine. 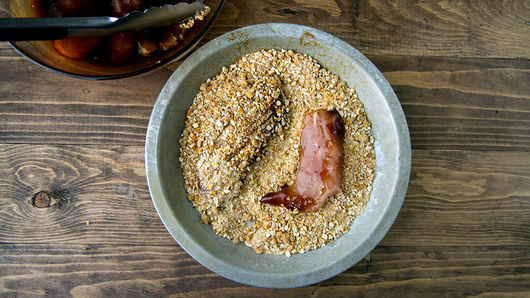 Dip chicken tenders in pretzel mixture, pressing to coat chicken. Turn chicken over; repeat to coat other side. Place on cookie sheet. Spray tops of chicken with cooking spray. Bake 10 minutes. Turn chicken; spray again with cooking spray. Bake 10 minutes longer or until chicken is no longer pink in center. Serve with additional barbecue sauce for dipping. 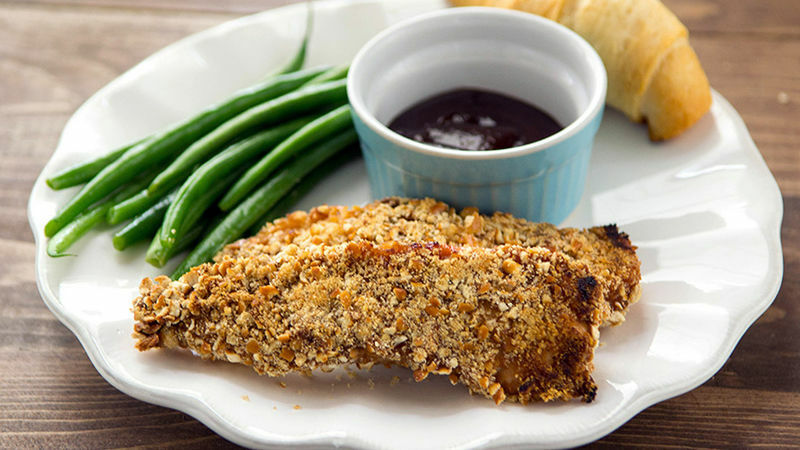 Turn this into an adult-friendly meal by topping a salad with the Pretzel-Coated Chicken Fingers. Serve chicken fingers with baked Pillsbury™ refrigerated crescent dinner rolls and a steamed vegetable for a well-rounded meal.